Components of a Logistics System. The Role of Logistics in the Organization. Logistics as a Source of Competitive Advantage. Why Is Management Interest in Logistics Growing?. Customers are Demanding Greater Value. Continuing Advances in Information Technology. Logistics in the Global Organization. Conceptual Model and Statement of Purpose. 2 Logistics in the Organization. Formal and Informal Channel Relationships. Future Trends in Channel Structures. Enhancing Corporate Profitability with Logistics. Customer Service in a Global Setting. How Much Service Should Be Offered?. Barriers to Quality Customer Service. The Consequences of Poor Customer Service. Improving Customer Service in Comparison to its Costs. Customer Service and the Internal Customer. Economic Order Quantity (EOQ) Model. Modifications to the Basic EOQ Model. Fixed Order Point/Fixed Order Quantity Model. Inventory Management: Signs of Trouble. JIT II/Vendor Managed Inventory (VMI). Integrated Inventory Management: DRP, MRP, and JIT. Inventory Management in a Global Market. The Five Modes of Transportation. Deregulation and Privatization of Transportation. Direct Control and Regulation of Transport Firms. Promulgating and Enforcing Environmental, Safety, and Security Laws. Price Negotiation: The Carrier's Perspective. Price Negotiation: The Shipper's Perspective. Other Issues Affecting Transportation Cost and Service. Environmental and Quality of Life Issues. The Strategic Role of Warehousing in Logistics. Warehousing Concerns in Overseas Markets. 8 Materials Handling and Packaging. Manual Versus Automated Materials Handling Systems. Manual Versus Automated: Making The Choice. Tradeoffs with Other Components of the Logistics System. Selecting the Right Forecasting Technique. Using Information to Link a Global Logistics System Together. Impediments to Global Implementation of EDI Procedures. Developments in Logistics Information Systems. 10 Inbound Logistics and Purchasing. The Growing Importance of Inbound Logistics. Management Techniques for Improving Materials Management. 11 The Global Logistics Environment. Controlling the Global Logistics System. Centralization of Logistics Activities versus Decentralization. Logistics Strategy and Improved Corporate Performance. Future Issues That Will Affect Logistics. 13 Developing High-Quality Logistics Systems. Basic Quality Concepts: The Internal Perspective. Basic Quality Concepts: The External View. Total Quality Management (TQM) in Logistics. Developing a Formal Quality Process. Quality Process Success Factors for Logistics Management. ISO 9001:2000 The International Quality Standard. Basic Tools for Improving Logistics Performance. Impediments to Improved Logistics Performance. Failure to Adopt the Customer's Viewpoint. Lack of Requisite Cost Data. Lack of Broad-based Management Skills. Failure to Think of Logistics as a System. Need for Cultural Change within the Organization. Creating a World-Class Logistics System. 15 Organizing for Logistics Effectiveness. Building an Effective Logistics Organization. Scope of Responsibility/Span of Control. The Role of Logistics in the Firm. Reconciling Intra- and Inter-Organizational Issues. Moving Towards the "Best" Organizational Structure. 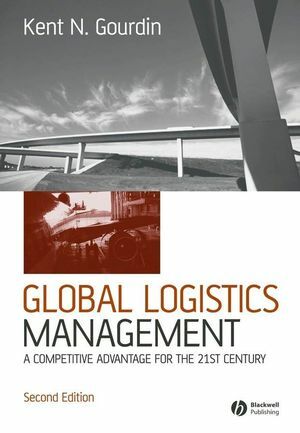 A second edition of this clear and straightforward introduction to global logistics management. Helps readers to understand and appreciate the power of managing logistics for profit and competitive advantage. Educates readers about the nature of individual logistics activities and how they can be woven together. The focus throughout is global, and examples are drawn from various parts of the world. The text has been thoroughly revised and updated throughout to keep it current.